The strangest thing about the e-mail though, was that it was worded in such a way that led me to believe that if I wanted it, the work was mine without even a formal interview. The e-mail said. What a coincidence, I believe I could be too! It looked as if some parts of the e-mail were in a different color font and style than the rest, leading me to believe it was a form letter that was just tweaked. But I didn’t really mind because the offer seemed solid and what really is it to me if the same offer was being made to others? After e-mailing back and forth a few times the firm’s founder invited me in to meet the partners. I had previously put in a late application to an LLM program at Georgetown (which I believe was just a revenue generating scheme, because they were the only ones to accept late applications but then they basically told me there were no actual spots—despite cashing my application fee check). So I wanted to make sure that I heard from Georgetown before I accepted any part time work in a different state. So I told the firm’s founder that I would get back to her in two weeks if that was ok. She said that it was fine and to e-mail her then. Then no response for a few days again. Wow certain that you will HAVE work !! Excellent…. Because I am certain that I NEED work. What a great pairing. An interview seemed like a formality at this point from the way our correspondence went but I was happy to meet the people I could eventually be working for. The next day we scheduled a meeting at the office for me to meet the partners. Coincidentally, this was the same day Obama was giving a speech at the UN summit in NY regarding climate change. Little did I know at the time this would present a major problem for both me and the interviewer. I never like to take the subway to job interviews (in fact I really try to avoid it whenever possible, when I commuted to ELF every morning I took the bus straight up third avenue), in general its sort of a dismal place to be but for interviews it is particularly hot and stuffy and causes me to sweat in my suit. Call me a male primadona or whatever you would like but this is just how I feel about it. However, on this particular occasion this was a big mistake. I was on my way to the interview and it took longer for me to get from Third Ave. to the FDR drive (a distance of about 4 blocks) then it would take for the rest of the trip downtown. 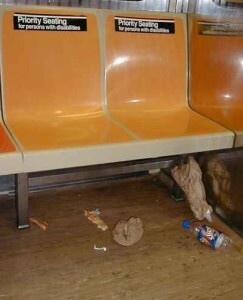 This was because someone felt the need to close down half the entire island of Manhattan because Obama was in town. Despite the fact I left 45 minutes early I was still on my way to being late. So I e-mailed the partner from my iPhone, to let her know I could potentially be 5 to 10 minutes later than expected. I arrived about 5 minutes later than expected (not too bad considering). When I walked into the office there was a long carpeted hallway that led to a small student style desk. You know those desks you had in high school with the metal legs and the black composite compartment where students would store books (and by books I mean old chewed gum). I thought this was an interesting desk for a secretary, as it didn’t make a great impression and it was kind of in the middle of nowhere. The long hallway created this awkward entry where you were able to see someone staring at you (from the small desk) when you walk in but you are too far to see exactly who it is and too far to talk to the person without screaming. So you are forced to kind of slowly creep up on this person trying to figure out who it is and what their function might be and finally greet them when you are in earshot. I finally made my way up to the small desk. I explained to the person sitting at it that I had a meeting with the partners. The person sitting behind the small desk said “I am one of the partners why don’t you go take a seat in the conference room.” I was surprised a partner would be sitting in the hallway but thought after what I have been through in the past few months anything goes and I didn’t particularly care. At least the conference room didn’t have a computer from which the interviewer could e-mail me a concocted assignment during the interview (if this doesn’t make sense to you read my OAF post). The conference room was interesting, it had a nice table but phone lines were draped all across the room in an effort to get a working phone from the jack at the back left corner of the room to the front right corner of the conference table. There was also an opened cardboard box that had luke-warm bottled waters in it. 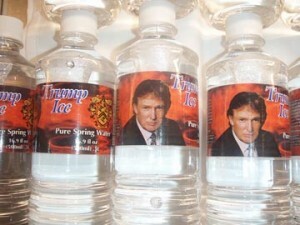 The brand of which I had never seen before but vaguely reminded me of this Trump brand water I had gotten in Atlantic City once with the The Donald’s face plastered on the label and looking all out of place. I had a water and waited. I thought to myself it’s funny to come from a firm that had a whole department that’s sole purpose was to cater conference rooms before meetings, providing just the right refreshments at just the right temperature for just the right amount of people. It didn’t bother me though. Maybe the wasteful spending was what got my old firm in trouble. I didn’t need special catering, a warm bottled water was good enough for me. The interview went surprisingly well, I met with two partners and it actually turned out that I knew one of them from this volunteer lawyers program I participated in over the summer. We had met at a meeting on housing law and had a few laughs about the profession afterwards. He was a good guy, a sincere guy, someone you wouldn’t mind working with—someone who was nothing like the OAF. The two partners took an interest in my stories and the interview proceeded how a normal interview should proceed, they went down each section of my resume asking me about my experiences, and then telling me about their firm. The interview lasted nearly two hours. I left copies of my publications and left. When I left the firm I thought to myself that I kind of liked the idea of working for a firm with a conference room that did not have a mini-fridge and that did not have a special department for attorney development, and a separate marketing department, and billing department and a ton of overhead. These lawyers had to do it all- they had to develop themselves, market the firm themselves, and bill clients themselves. It was sort of humbling to see that, and I thought to myself I would be honored to work with them. Unfortunately, with this job, a job which I thought interviewing for was a mere technicality, I still have not heard from the firm in over two weeks. I can’t tell at this point if something turned them off during the interview or if the work they thought would “certainly” be there wasn’t yet? Or if the founding partner just needed some more nudging like she did to schedule the interview? Oh well, I remain hopeful but will continue to chug onwards. Perhaps Obama has stopped in for some guac. Sorry to hear about this. Yes, working for a small “nimble” firm may have its advantages, but there's something to be said for organization. Good luck & keep us updated! Uh, boy. Let's see. Law firm with no secretaries, no files, no desks that haven't been rescued from the PS 150 surplus sale. They contacted you on Craigslist. Spidey sense is tingling–this is not going to result in a job offer. This will not result in paid work (not even lowly doc review). If you had a huge book of business they would be in contact with you. Nothing they said suggests they have a job or work enough to bring you in. My take on it is that they're trying to land, or are closing to landing, a client, and if and when they do, they'll call you in. I think you aced the interview, you've done everything you could, and it's now out of your hands. While you are looking for work, why don't you offer your services free to a legal clinic? You will have better luck finding a job if you network with people who are actually working with clients. You've done it before…It would be good for your self-esteem to be helping people. You could sleep at night, knowing you were at least practicing law, and moving the energy forward. I hope this works out for you. A couple of months before the recession began, I found a job on Craigs List. I interviewed and started working there as a contract attorney. It turned out to be a well respected downtown boutique, and the firm didn't even know it had advertised for jobs on Craigs List. A recruiter had posted the ad to which I responded. Anyway, two years later, I am an associate at the same firm. I have gotten wonderful experience and training here, and, despite the bad economy, I am very busy. I took a big chance (Craigs List, firm of which I had not heard), and it worked out fine. Congrats for thinking outside the box. I hope your creativity is rewarded. If this doesn't turn out, try not to get too discouraged.